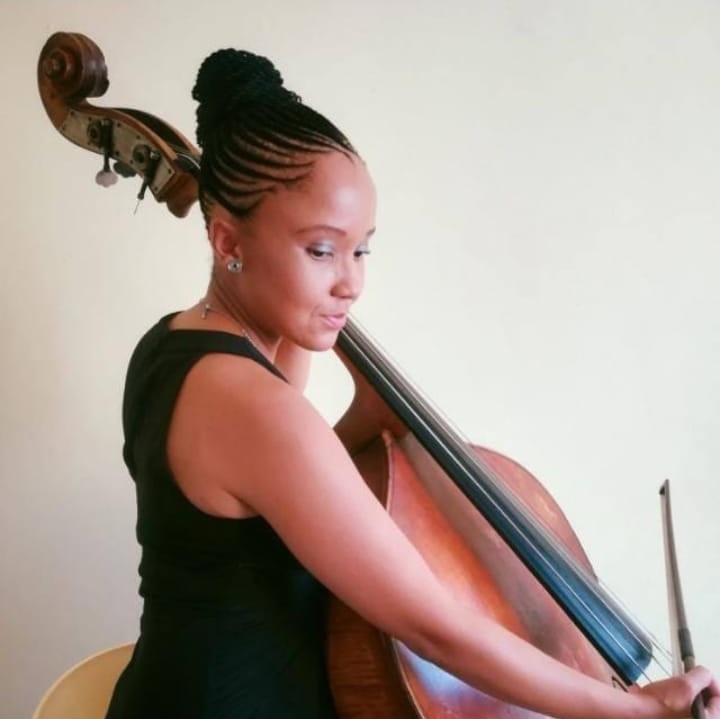 Regomoditswe Thothela (34) describes herself as quiet and reserved, but when the Bloemfontein-born musician plays the double bass itâ€™s difficult not to notice her. The double bass is the largest and lowest-pitched bowed string instrument in the modern symphony orchestra. And itâ€™s quite rare to see a woman, a black woman at that, playing it. We spoke to Thothela about her musical journey. My journey with music started when I was 11 back in Bloemfontein, thatâ€™s where I grew up. It started at FS Musicon, which is a school of music in Bloemfontein, where I would attend my lessons on a weekly basis after school. If it wasnâ€™t for lessons then I would go for orchestra rehearsals which would take place on Fridays from 3pm to 6pm after school. The double bass wasnâ€™t my personal choice. I started group lessons on the recorder. My recorder teacher, Isabella Bonnett, back then saw something special in me. She called me aside saying sheâ€™s got a friend who teaches the bass. Her friend Peter Guy, a trained bass player from the USA, was my first double-bass teacher. Once I finished high school, I went on to study a BA in music at the University of KwaZulu Natal (UKZN) Howard College at the music department there. I would have lessons with the KZN Philharmonic Orchestraâ€™s bass leader Simon Milliken. Those were also on a weekly basis. If I wasnâ€™t doing those, I would play as a cadet in the racing orchestra as part of my training. What I love about the bass is that itâ€™s such a rare sight to see a woman playing it. Quite honestly, I havenâ€™t experienced any obstacles as a woman musician. I find that a lot of people are very shocked at first to see a woman playing an instrument. A black woman playing classical music, playing a double bass. I enjoy the reaction when people realise that Iâ€™m the one behind this big instrument and just how it adds to the music. So far, itâ€™s been a good experience for me. I cannot recall any experience that has made me feel less because of my gender or the colour of my skin. People are very encouraging and inspired. Thereâ€™s nothing like a bass to add to a harmony whether itâ€™s voice or instrument. I love the variety it provides. You can do classical, jazz, pop. It’s not a limiting instrument, you can explore so much with it. I love all kinds of music. I grew up listening to R&B and kwaito. The music I enjoy listening to right now is a lot of Nigerian music, a bit of hip hop. I recently discovered jazz, thatâ€™s what Iâ€™m currently listening to. The advice I would give to younger musicians is most importantly to have passion for music and self-discipline. At the end of the day this requires you to have discipline to put in the work – and yes, be passionate about it. Playing an instrument requires a lot of dedication. I suppose itâ€™s like anything in life, you have to put in the hours to get the product, to get whatever it is that youâ€™re striving to achieve. For musicians, it requires a lot of practice. Ideally, on a daily basis a few hours of intense practice – of just putting yourself in the music to get your technique right – to get the music to sound the way it is supposed to sound. Our lives revolve around a lot of practice. I started playing for the Johannesburg Philharmonic Orchestra in 2009. Itâ€™s been quite a ride. Mostly, itâ€™s an exhilarating experience just getting up on stage and knowing that youâ€™re going to perform for people who have come to see you perform. To be able to meet and work with different conductors, soloists and orchestra members has been interesting. With performing, just knowing that you are there as part of a collective of people who are passionate about what they are doing and want to do it to the best of their ability has been one of the most fulfilling experiences of my career. Thothela will play in the 2018 Early Spring Season of the JPO which will run at the Linder Auditorium in Parktown from August 22 to September 13.